Mogadouro is an attractive small town barely touched by tourism and below are two possible circuits through some of the surrounding countryside. 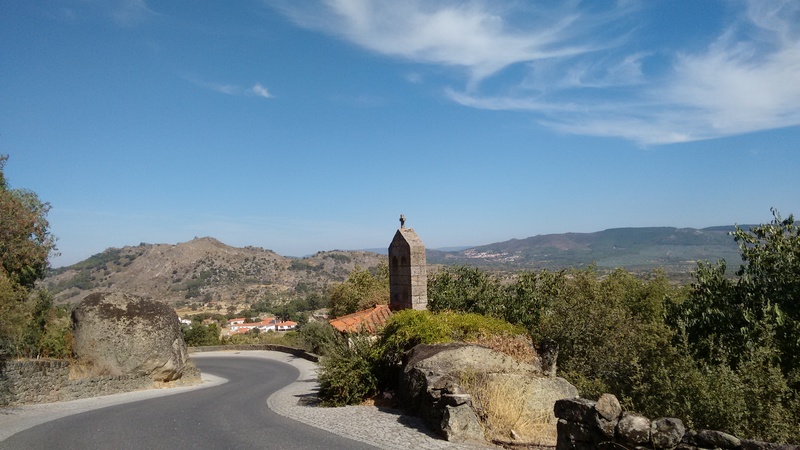 The landscape around the town mostly lies about 300-400m above the Rio Sabor to the west and north, and the Rio Douro to the east and south, with these deep valleys helping add to the feeling of isolation in this corner of the Trás-os-Montes region. There are also limited roads in the area – although some exist that aren’t shown on printed maps. It’s worth getting a copy of a leaflet from the local tourist office called Património E Locais A Visitar. Inside is a basic map of the area which gives a good overview of the local road network as well as examples of some local sights. 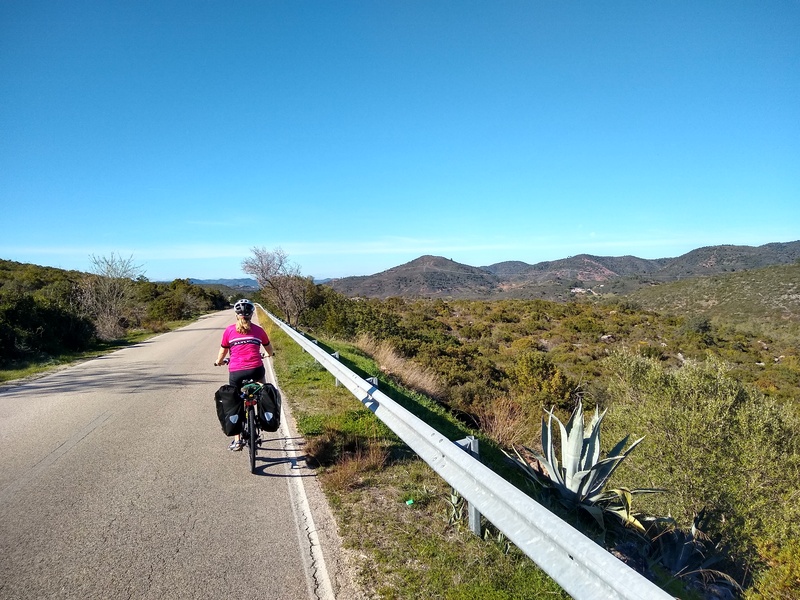 This ride could be done as two shorter, half-day rides – starting and beginning in Mogadouro – or combined if you want something more strenuous. Either way, you’ll get a good flavour of the beautiful landscapes of this quiet corner of the Trás-os-Montes region, close to the border with Spain but very much Portuguese. Total distance for both circuits is 64.2km (40 miles). This includes 29.6km (18.4 miles) for the northern loop and 34.8km (21.6 miles). Both sections are moderate to tough. Most of the riding is reasonably easy but each loop contains one very steep descent with a following climb most riders will find pretty strenuous.There are also a few more hills on the second half of the southern loop. Both circuits include a mixture of minor roads and ‘main’ N-roads. However, this is a very quiet part of Portugal and traffic levels are very low. The N-road sections are also wide and with a reasonable shoulder. Most road surfaces are good. 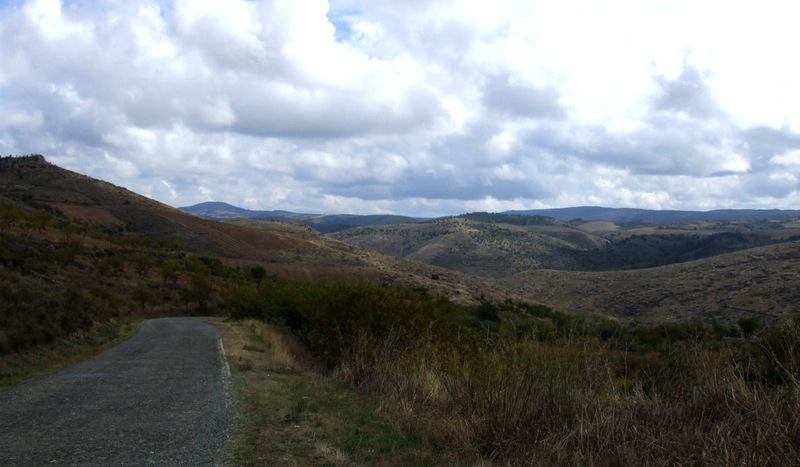 However, there is a section south of Valverde on the southern loop that is one worst bits of ‘sealed’ road I’ve encountered anywhere in Portugal. Just pray that by the time you get there it’s been resealed! Mogadouro has a good municipal campsite plus a range of small hotels and guesthouses, plus a supermarket, bakeries, cafes, restaurants and other shops. There are few options for supplies along the two loops other than where mentioned in the text above – if any riders come across anything else, any updates or additional information would be welcomed. The northern loop begins from the main roundabout at the southern end of the N216, just outside the centre of the old town. Go south and then immediately east on the N221 – signposted for the IC5 (a new motorway-standard route connecting the IP2 to the west and Miranda do Douro to the north-east). 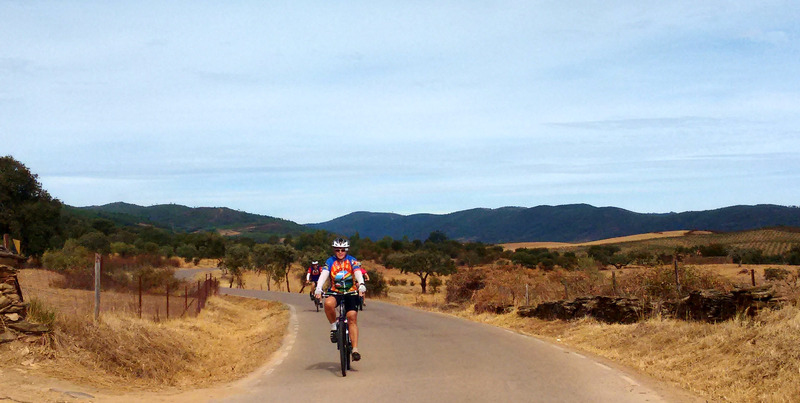 At the IC5 junction a couple of kilometres east of Mogadouro, cross over and take the old road to Santiago. The N221 parallels the IC5 in places but there were hardly any vehicles on either road in September 2014 when I rode this route so noise/traffic wasn’t an issue. The road is gently rolling and quite rural. 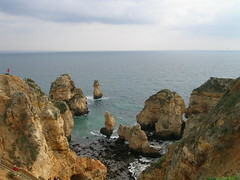 At about 10.5km from Mogadouro, turn left towards Variz. There’s a bit of a climb up to the village, where you cross the old railway line to Miranda and pass the former station. There are a couple of cafes here. From Variz, it’s all very rural and quite beautiful. The road goes roughly north for about 5km from the N221 then you turn left for the village of Penas Roias, descending gently past fields and small orchards of sweet chestnut trees. 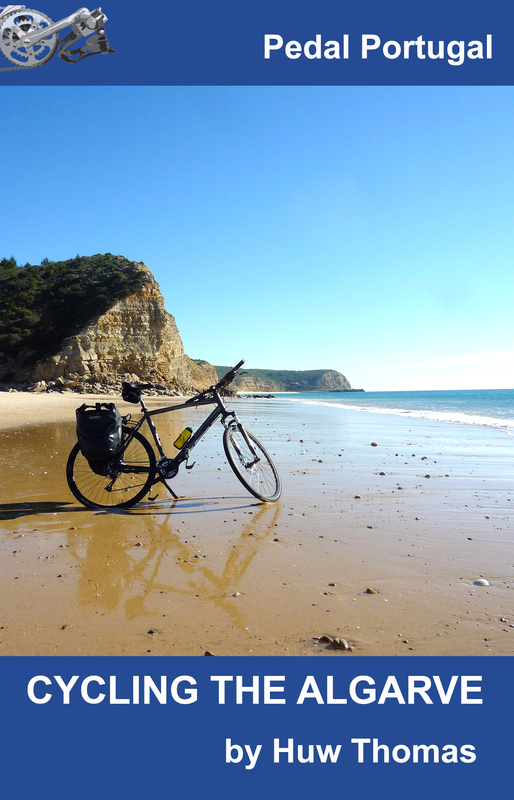 Note: If you want to add about 10km to this ride, you could continue north from Variz towards São Martinho do Peso and join the N219 further north. This is an equally pretty rural road. However, if you want to see the castle at Penas Roias you’d have to then take a detour – via a nasty climb that you’d have to do there and back. There’s not a huge amount to the castle at Penas Roias but the setting is stunning. It’s set on a crag above the village. You can’t see much from below but when you climb up the ruins seem to occupy their own secret little world – a grassy platform that gives dizzying views down over the village and out over the surrounding landscape. From Penas Roias, there’s a very steep descent of about 100m in height to a small reservoir and summer picnic area – followed by an equally stiff climb up to the N221. 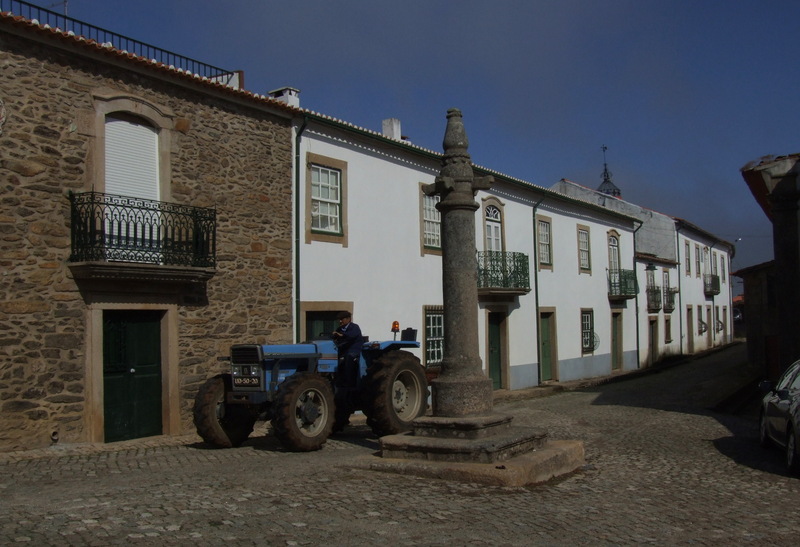 The main road takes you back to Mogadouro, although one minor detour worth taking is to Azinhoso (signposted to the left), where a magnificent old church stands at the end of a cobbled street full of traditional architecture. The second loop from Mogadouro begins from the same roundabout. Head into the centre of town and initially aim for the castle. Just after the post office (on the right), a brown tourist sign for the castelo takes you along a narrow cobbled street. Follow this and just keep going – the castle should be on your left as you leave town. There are a few ups and downs along this section but nothing too taxing. 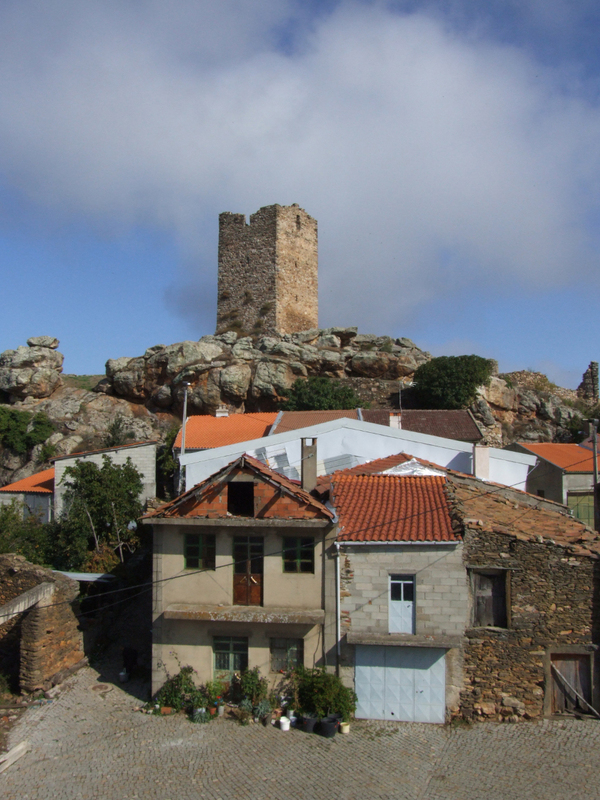 About 7km from Mogadouro, there’s a turning off right to a couple of traditional schist-built villages. This could make a scenic detour but be warned that it’s about 4.5km to the first of them and involves a descent of over 300m – and you would then have to come back up again. Alternatively, continue south-east towards Valverde. The road undulates a bit for another 2.5km and then starts to descend fairly steeply. The village itself straggles along the road and doesn’t seem to contain any cafes or sights of interest. The cobbles in Valverde are no worse than normal and it would normally be a relief to get back out onto tarmac. South of Valverde, though, it doesn’t look like the road has been resurfaced in decades and the next 4.5km are pretty hard on the wrists and backside if you haven’t got suspension. As you leave Valverde, the road goes round a couple of bends and then also starts to drop quite fast. The first section isn’t too bad as it curves around the hillside but the last part, down into a small valley, gets quite steep – and the extremely poor surface makes this hard work on the wrists. On the other side of the valley, there’s a climb of about 80m up to Meirinhos, a small village on the N315. I didn’t notice any cafes open here in late September but it might be worth checking out the centre of the village, which is on the other side of the roundabout. From Meirinhos, the N315 roughly follows the same route as the IC5 but zig-zags around a lot more, with a number of up and downhill sections. You join the N212 just south of Castelo Branco – now little more than an obscure village, this was a 14th century base of the Knights Templar. 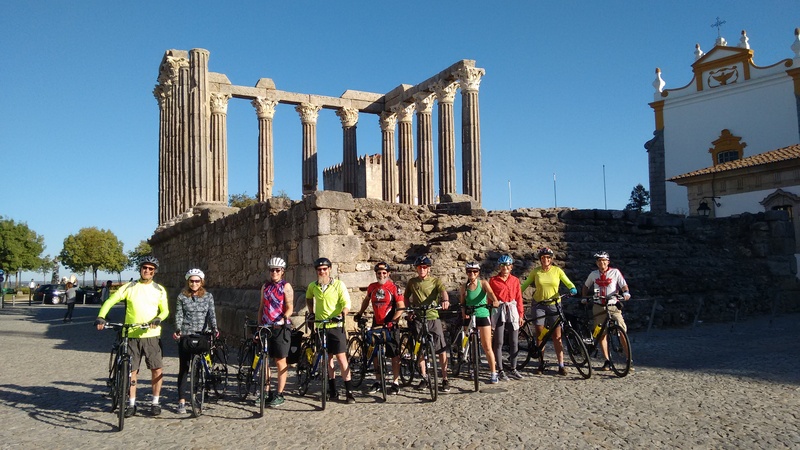 There’s a nice downhill into Castelo Branco and there’s a cafe/bar on the left in the junta da freguesia opposite an imposing but derelict Manueline mansion. After a series of bends, the road climbs again. Just after crossing to the right of the IC5, the N212 crests a low point in a line of craggy hills that run to the south-east of Mogadouro. From here, there’s another long downhill and a final climb back up into the town – mostly gentle, except for the hump-backed bridge over the IC5.